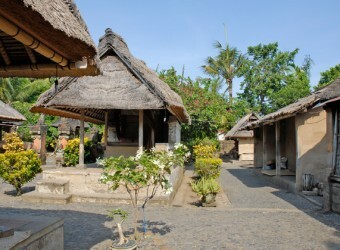 Batuan Village Private House locates 15km from Denpasar. Balinese house basically has the same architecture and style all over the island. It comprises several buildings, the east building is used to make offerings, and the south building will be a kitchen, the west building is commonly used for the parent’s room, and the north building is the children rooms or used as the place of the offerings. Visit a village in daily life where Balinese people live with the family. Take water for bathing and washing by drawing from a well .I was shocked! It is very hard!! It was nice to visit a traditional Balinese village to see the daily life.